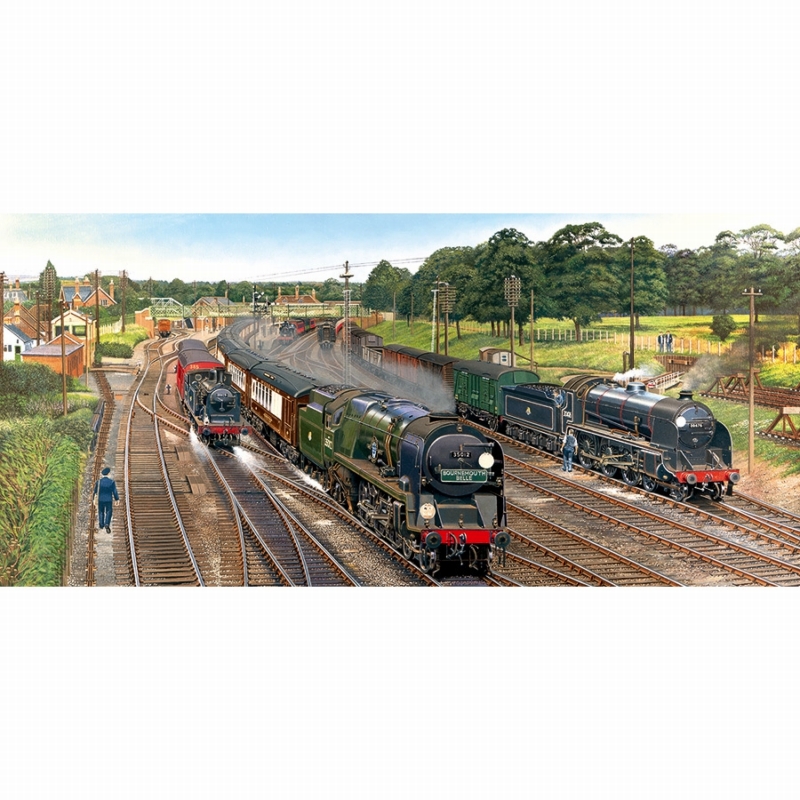 This wonderful multi-box of jigsaws includes two 500 piece puzzles, 'Bright Intervals' and 'Express to Bristol', both painted by Barry Freeman. Spa General station with the down ‘Cambrian Coast Express’. 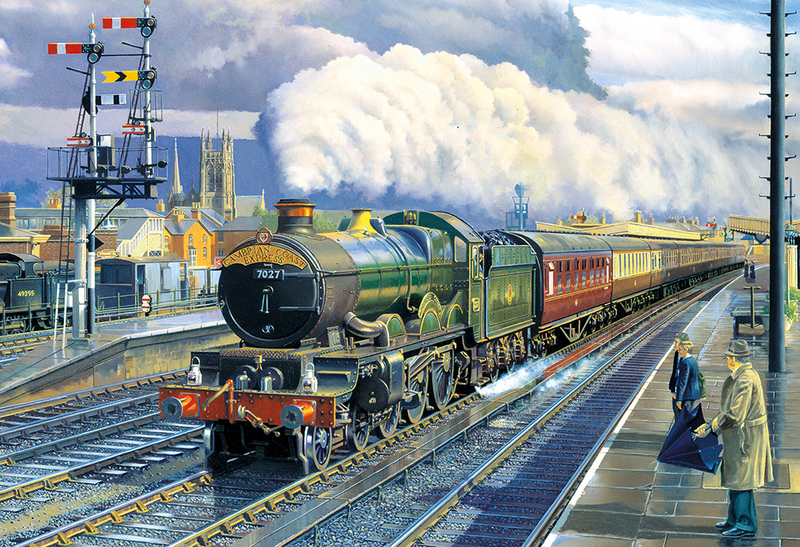 'Express to Bristol' shows the Great Western‘King’ class 4-6-0 No. 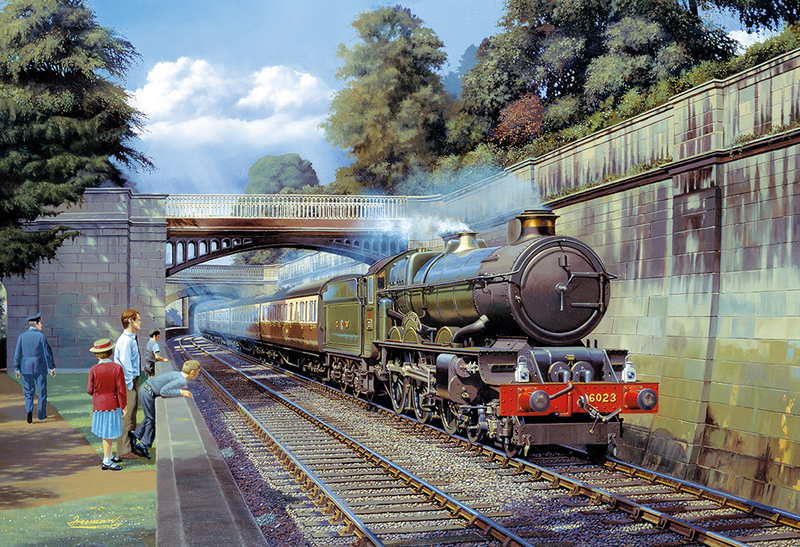 6023 ‘King Edward II’ passing through Sydney Gardens with an express from London (Paddington) to Bristol in 1947. High quality 2x500 piece jigsaw puzzle. Made from thick, durable board that is 100% recycled. Each puzzle measures 35x49cm when complete. Beautifully painted by Barry Freeman. Barry Freeman was born in Northampton in 1937. Following ten years in the Royal Navy and several years in the electronics and aviation industry, he took up teaching, drawing and painting before early retirement gave him the opportunity to become a professional artist. 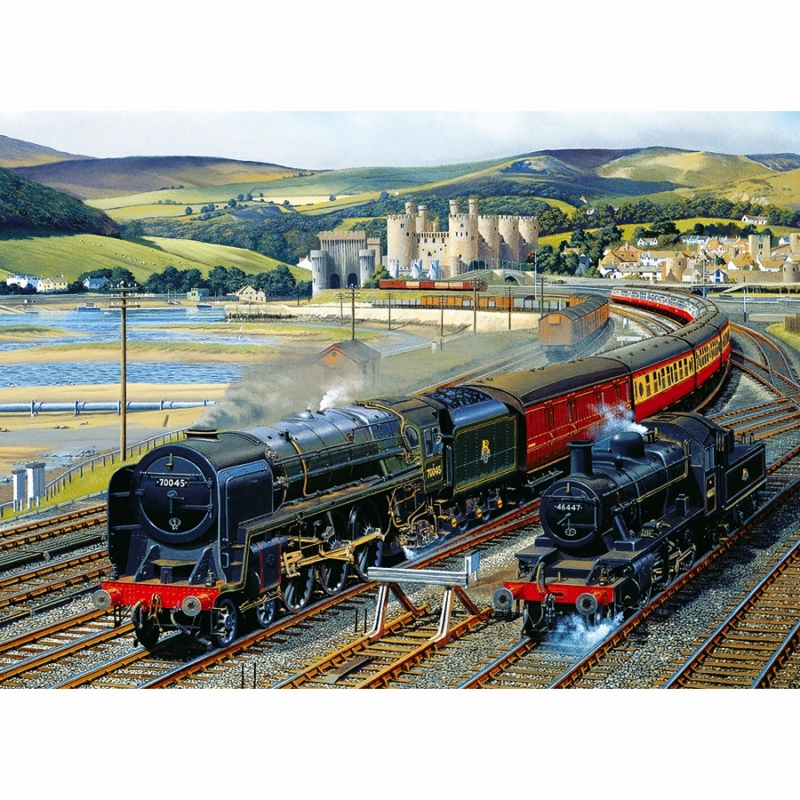 An avid railway enthusiast since childhood, his combined love of art and railways is reflected in the detailed paintings in which he now specialises. In 1995, Barry was elected a fellow of the Royal Society of Arts and is a former deputy president of the Guild of Railway Artists. Barry sadly passed away in December 2017. 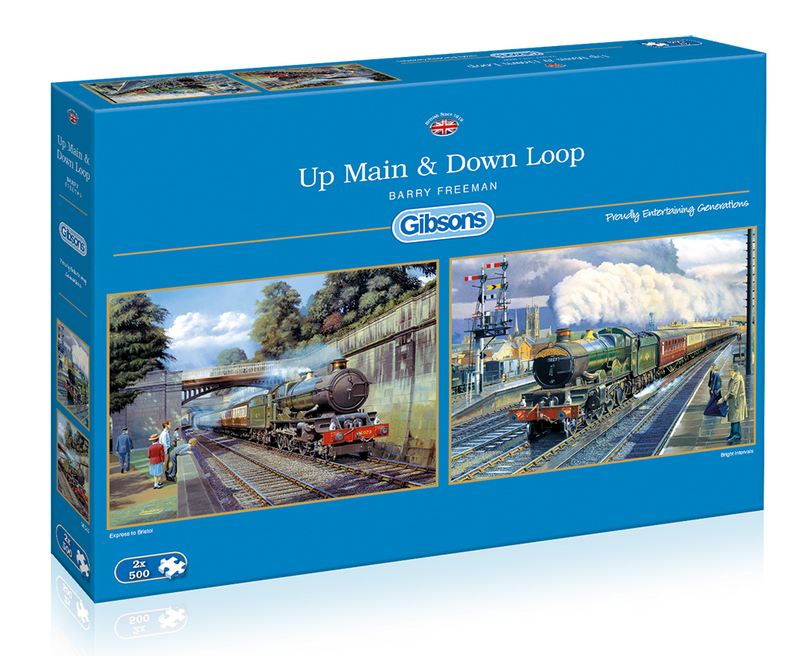 He was an extraordinary gentleman who painted an array of wonderful transport puzzles for Gibsons over the years. His paintings were enjoyed by all and it is an honour to have published Barry’s paintings as jigsaws for so many years.